Welcome to the second edition of LIFE:STYLE magazine, your fabulous, FREE, publication showcasing the proud achievements of people who live and work in Accrington and its surrounding towns and villages. This bumper summer edition is a sizzling mix of food and drink, family fun, great local characters, celebrity interviews, home and garden inspiration and the phenomenal business heroes who are boosting the local economy and putting this part of Lancashire on the world trade map. You will find their interviews on pages 38 to 49. 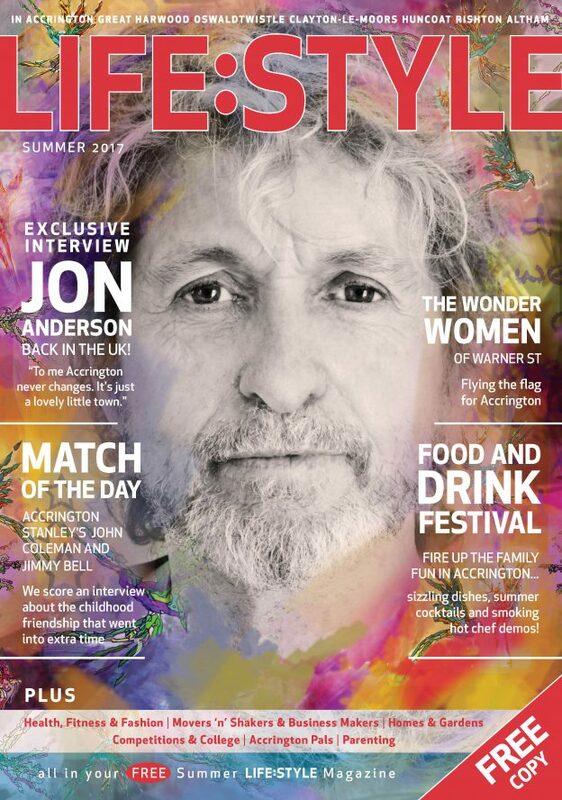 Our cover interview is with Jon Anderson, founder of the progressive rock band Yes – and the talented artist who penned the global hit ‘Owner of a Lonely Heart’. Jon recently flew back to the UK as part of a European and Asian tour with his new band ARW and fellow bandmates Trevor Rabin and Rick Wakeman. We will be running part two of Jon’s interview – where he makes some astonishing revelations – in issue 3 of LIFE:STYLE magazine. For those who missed our first edition, community wellbeing, education, tourism and the fortunes of the borough are at the heart of this magazine. Our publisher Murray Dawson, managing Director of Scott Dawson Advertising, is a Clayton lad who now lives in Great Harwood. LIFE:STYLE is part of his company’s ongoing civic pride initiative which supports and celebrates the people and projects working to improve life for people in the borough. MP Graham Jones is one of those hardworking individuals who dedicates his professional and personal time to doing just that – and has been an enormous support to the magazine – as has Hyndburn Borough Council and all our advertisers. You will find Graham’s article on pages 36 and 37 where he provides a fascinating insight into the Palace of Westminster and comments on the recent terrorist attack. One of my favourite interviews is with Walter Holmes, local historian, author and expert on the Accrington Pals. Walter is a wonderful character who, along with the late Bill Turner, has done so much to keep the Pals stories alive for new generations. The LIFE:STYLE team will be out in force at this year’s Accrington Food Festival where the brilliant Warner Street trader and event organiser Evonne Harwood will be hosting a world record charity attempt to gather the most people performing the Oops Upside Your Head dance in the grounds of St James Church. If you are an Accrington Stanley fan you may enjoy our interview with management team John Coleman and Jimmy Bell. We wanted to shoot behind the sporting headlines and turn the spotlight their personal friendship. We hope you enjoy this edition and thank you to everyone who took part in LIFE:STYLE number 2. We will be back with another bumper read in the autumn . . . This entry was posted in Accrington, LIFESTYLE Magazine on April 28, 2017 by admin. BUS-TED UP – Join Campaign to save ‘Accrington Pals’ Bus at Food & Drink Festival 2017! The show-stopping vintage vehicle – a 1974 Leyland Leopard – will be wheeled out for everyone to see at this year’s Accrington Food Festival on Saturday, June 3rd. When it was de-commissioned the bus was restored for show use. 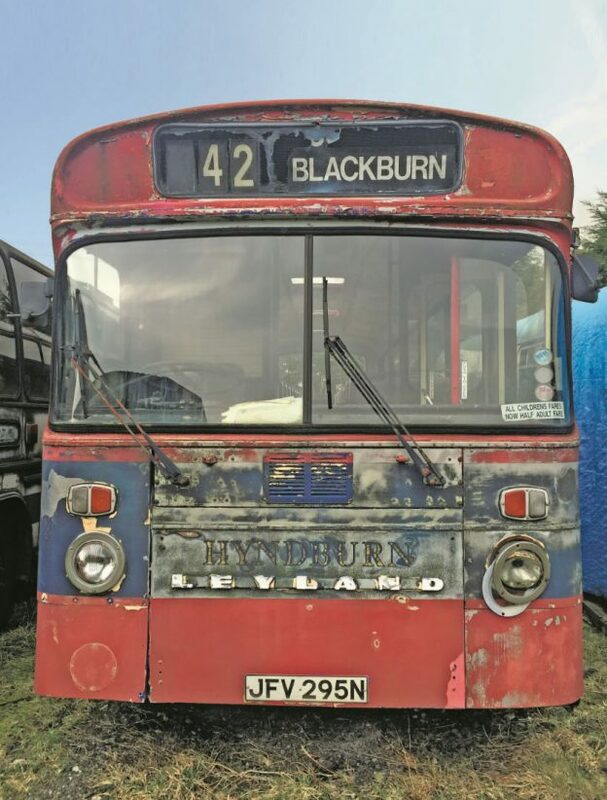 If any members of the public are interested in finding out more about joining the restoration process, the bus will be on display at this year’s Accrington Food Festival on Saturday, June 3rd. This entry was posted in Accrington, events, food festival on April 13, 2017 by admin.